Bushrangers provides local students with the opportunity to get involved directly with Tasmania Island Ark by supporting our onground work, and connects them with researchers and artists from the University of Tasmania. 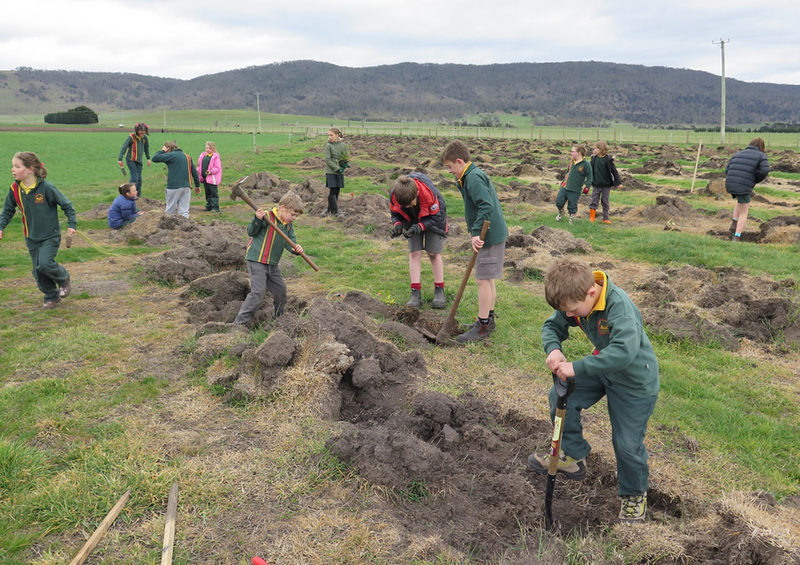 Through Bushrangers, students from rural and urban Tasmanian schools including Campbell Town, Oatlands and Cressy, Taroona High and Launceston Church Grammar, are supporting our onground work in the Tasmanian midlands by planting and caging trees on farms, undertaking replica planting in their schools and taking part in direct seeding trials. Students are also assisting farmers, ecologists and scientists from the University of Tasmania with valuable research which will help to inform future restoration work. This includes investigating the genetic diversity of local provenance seed and tracking the movements of native and feral predators across the midlands in an effort to develop an animal-centric model of restoration. 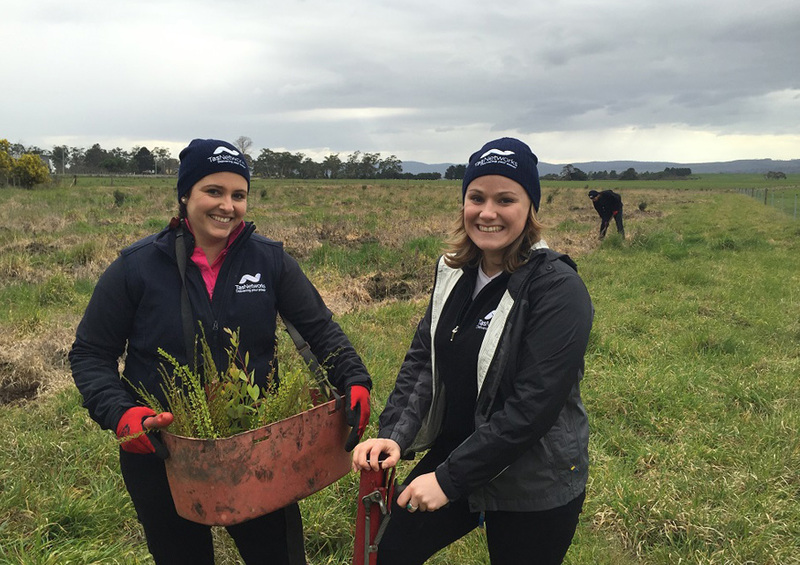 Students began their involvement in Tasmania Island Ark in 2014 helping with the planting and caging of 280,000 trees on farms including our permanent research sites at Cressy and Ross. The project gives students a chance to develop their understanding of local biodiversity issues and learning pathways as they work on practical tasks beside researchers. Another partnership with Campbell Town High School students, and architecture and design students from the University of Tasmania, is focussed around creating a sculpture trail in Ross to showcase the restoration. Events for students, like the Geography field day for Year 11 and 12 students in 2016, supplement learning and provide schools with the opportunity to study the connection between people, places and environment. Bushrangers is funded through a bequest from the John Roberts Charitable Trust and grants from NRM North, the Foundation for Rural and Regional Renewal and Inspiring Australia. Nel has a passion for connecting people to nature. She links education and environment at the Sustainability Learning Centre to promote action to address biodiversity, energy efficiency, adaptation to climate change, Aboriginal issues and use of technology as a learning tool.